Signs and symptoms of most nasal and sinus disorders include nasal congestion, rhinorrhea, bleeding, facial pressure, halitosis or pain, headache, cough, otalgia, facial or periorbital swelling, altered (diminished, absent, or distorted) sense of smell, or postnasal drainage. Initial evaluation of the patient with nasal complaints begins with a complete history, with specific questions directed at the timing and chronicity of the symptoms and modifying factors. The patient should be questioned specifically about previous nasal trauma. Patients should be asked about prescription and over-the-counter nasal, sinus, and allergy medications. Many patients try OTC remedies before seeking medical advice. Excessive use of decongestant nasal sprays can exacerbate and even cause nasal obstruction secondary to rhinitis medicamentosa and rebound nasal congestion. The patient should also be questioned about previous nasal surgery. Rarely, the patient admits to unorthodox self-treatment that may be significant (e.g., peroxide irrigation, overzealous nasal cleaning). This can explain continued symptoms and may indicate an underlying problem. The underlying problem may be true nasal pathology or rarely may be obsessive-compulsive disorder manifesting as repeated nasal cleaning. Information about past medical history and social history is also necessary. Knowledge of the patient's work environment may be relevant. Exposure to chemicals or fumes can cause nasal symptoms. Woodworkers are known to have a higher incidence of sinonasal carcinoma. 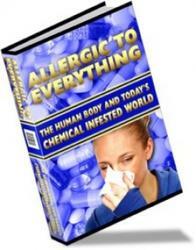 A history of environmental allergies or immune dysfunction is relevant. Many medical conditions (e.g., asthma, autoimmune disorders) are associated with sinonasal dysfunction. Other conditions (e.g., hypertension) will limit the use of decongestants. History of migraine is noteworthy because migraine headaches can be confused with sinus pain. Some prescriptions can exacerbate or even cause nasal dysfunction, especially medications (anti-histamines, diuretics, antidepressants) that can lead to excessive nasal dryness (sicca). Drug allergies should be noted. Previous nasal surgery, if done, may not have been successful or even led to increased problems. Cigarette smoking and excessive use of alcohol and caffeine have negative effects on mucociliary function that can lead to congestion. A history of nasal or facial trauma is important. Previous or current use of intranasal cocaine can lead to significant pathology and symptomatology. 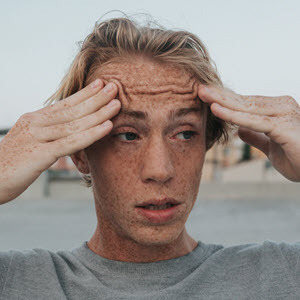 Hypertension, Headache, Natural Relief from Headaches and Migraines, How to withdraw from cocaine, Best Natural Antidepressants, Cigarette Smoking: Learn Facts, Statistics and How to Quit, Prescriptions, Rhinitis, Overcoming Obsessive-Compulsive Disorder, Nasal Congestion, Halitosis, Migraine Headaches, Can you be a full time professional Woodworker?